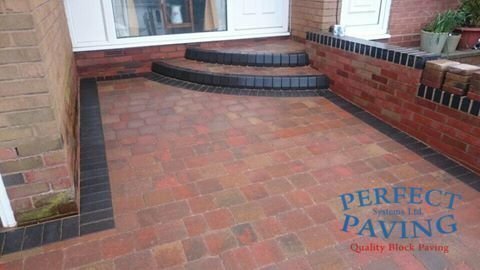 Perfect Paving has been established as a limited company for many years as part of family business. 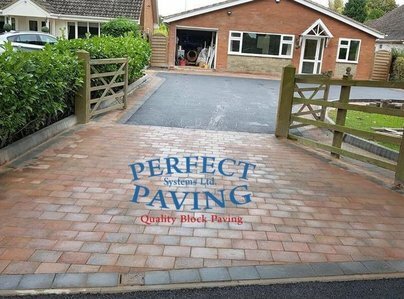 Perfect Paving soon became well known locally for top quality block paved driveways and patios within the Stourbridge and surrounding areas of the black country. 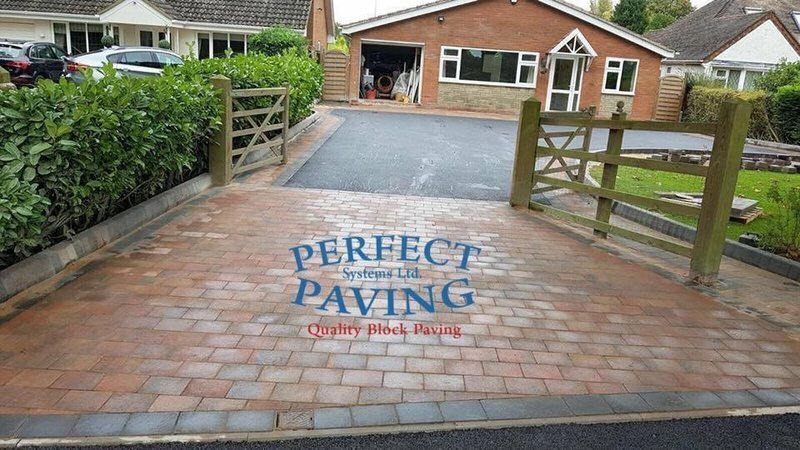 Perfect Paving have, to date, carried out thousands of successful installations, including local school projects and English Heritage sites such as Stuart Crystal in Wordsley. Our workforce now stands at 23 members. This is mainly made up of our site teams to which our company employs 9 fitting teams. This is due to the high level demand for new contracts and our company is always booked in advance. Our showroom is open 5 days a week, Monday to Friday, 9am until 5pm. Very impressed - new driveway and path at side of house. 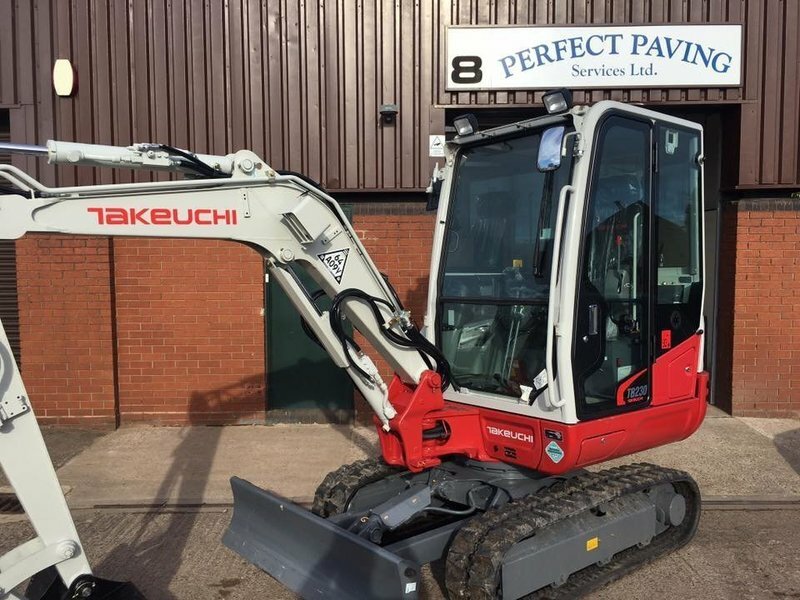 We chose Perfect Paving based on recommendations and Which reports and were delighted to find that all we had heard and expected in terms of service and workmanship turned out to be 100% true. From the initial visit by Leesa and Michelle we were given very good advice about all of the options open to us. 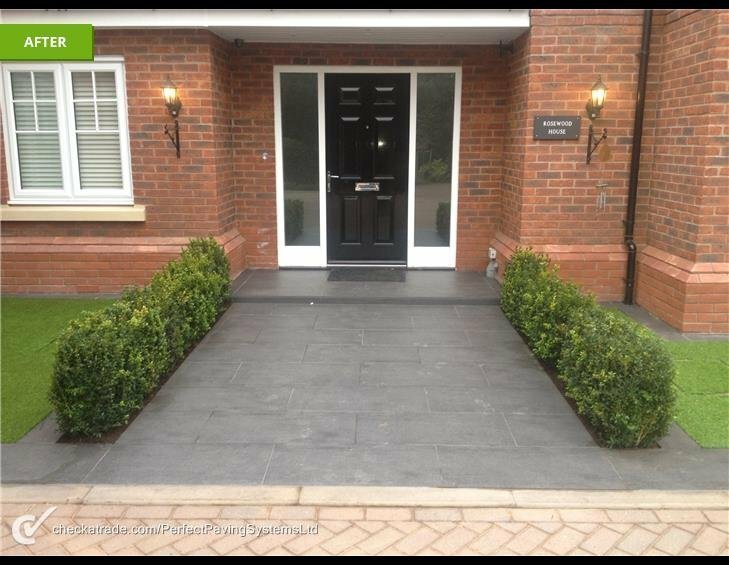 We chose to have the whole front garden changed and had a tarmac drive edged with blocks and two fabulous planters and a feature step as well as the full length of the side of the house block paved. We were still a little apprehensive about having such a major piece of work done but there was no need to worry. The work took a couple of days longer than planned but we were happy that this was to ensure that we got a first class job and it was not rushed. Laura in the office kept us informed as to what was going to happen and when and was always available to answer any questions we had. This company has a great team ethic and I have to give a big shout to Mark for his organisation of all the work, Eugene for being a real hard working quality craftsman, aided by support from, Conor, Marcus and Harrison. All of the work was fully checked once completed before signing off the job. We are delighted with all aspects of the srervice provided by Perefct Paving, thank you and well done. From quotation stage with Mark, through to the completion of the job, this company were great. The lads turned up on time, worked in all weather and were friendly and polite. The girls in the office (Laura & Michelle) were very helpful and kept us informed at all stages. We would definitely use again and recommend them to others. Very pleased with work carried out. Very professional people. 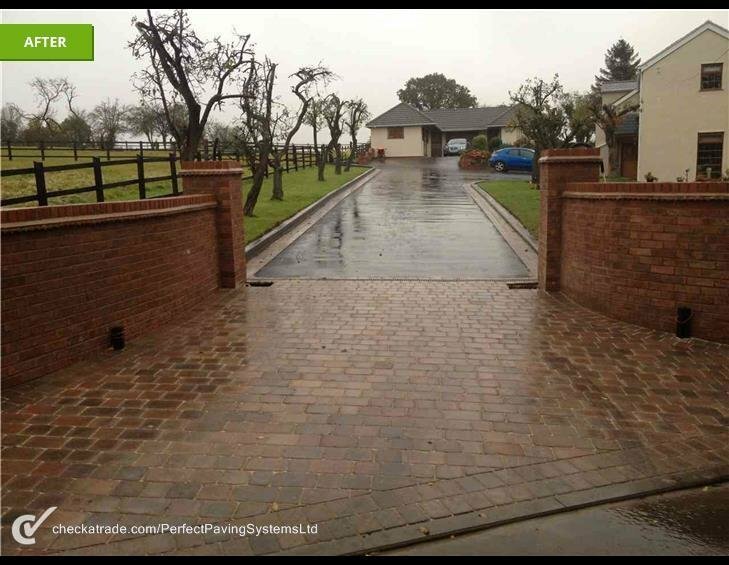 Jet washing block-paved drive. Work to be undertaken was clearly explained and carried out very efficiently. We came to Perfect Paving because they were the only Which? Trusted Trader in our area. Although they were the most expensive quote out of the 5 we got, we felt reassured by the guarantee that was offered. The work started and we were initially unhappy with the mess that the 2 workers left at the end of the working day. Unfortunately the snow came and everything was put on hold. There were issues with timekeeping and the overall quality of the work. Fortunately some other people were sent out to complete the job, which reassured us about the quality and cleanliness issues. The job was eventually completed, but there were further issues identified which resulted in us contacting the directors. One came to our house, agreed what needed to be done without any hesitation and explained the management issues that had occurred with a now ex employee. A further person came out promptly and professionally and dealt with all issues to a high standard. 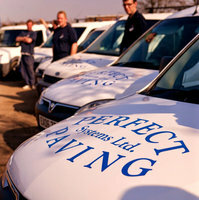 As a gesture of goodwill, Perfect Paving offered us a complimentary clean of our drive (worth £600) which we accepted. So, in summary, although there were issues that we were unhappy about, our complaint was dealt with extremely well and efficiently. We are very happy with the drive and I guess this is why we would tend to go with Which trusted traders. You get the whole package from a quality installation to an effective complaints resolution (if you fail to get the quality you expect). Our drive way was jet washed today. Very courteous workmen, professional and excellent standard of work. The company were so polite. Good time keeping and my drive was jet washed and sealed by them. Also they explained the procedure for sealing the drive. 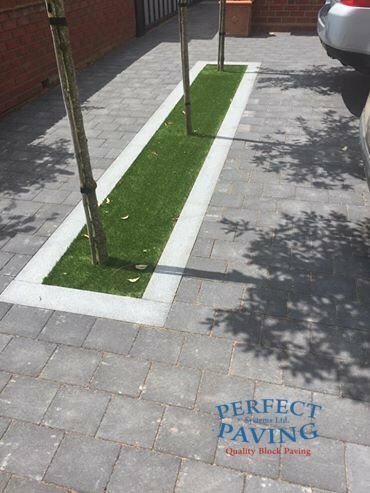 Our experience with Perfect Paving Systems Ltd was above and beyond our expectations. The work completed, knowledge, solutions and options given were exceptional. The service, standard and commitment of the team I had (Daryl, James, Mark & Harrison) was excellent. I would have no hesitation in recommending them to all.